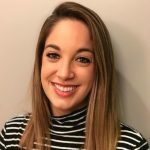 Baltimore, MD (6/1/17) – The Arc Baltimore announced today that Kathleen McNally Durkin, who has been with the organization since 2001 and has served as its Deputy Executive Director since 2010, will succeed long-time Executive Director, Stephen H. Morgan, when he retires on June 30th. Durkin was selected for the position Morgan has occupied since 1985 after an exhaustive national search which began last December. The Arc Baltimore Board received more than 190 applications for the position, then identified and interviewed finalists from across the country. “After a rigorous and comprehensive process that considered all the needs of the organization, we are completely satisfied that the very best leader for The Arc Baltimore was already here,” says Neil MacDonald, President of The Arc Baltimore Board of Directors. 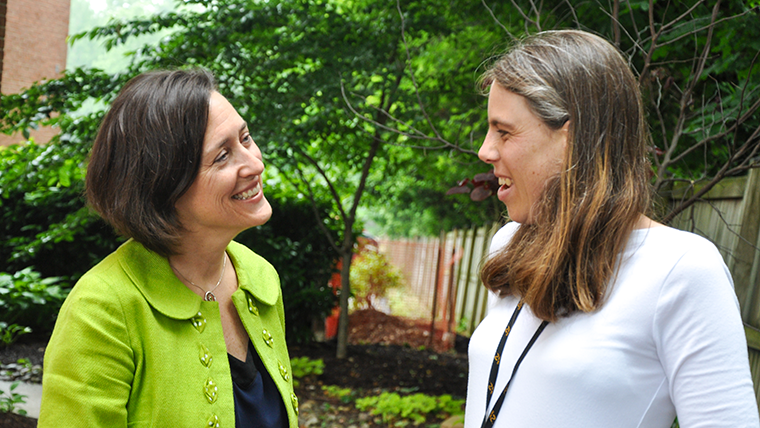 As Executive Director of The Arc Baltimore, Durkin will oversee all aspects of Maryland’s largest provider of supports to children and adults with intellectual and developmental disabilities and their families, annually reaching more than 6,000 individuals. A graduate of Johns Hopkins University and the University of Scranton, Durkin has more than 37 years of experience in the field of disability services, 29 of which are in Maryland. She joined The Arc Baltimore in 2001 as Director of Quality Assurance and was promoted to Associate Executive Director in 2004 before being named Deputy Executive Director in 2010. 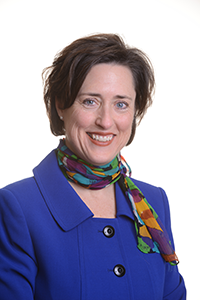 Durkin has been honored as The Arc Maryland Outstanding Advocate of the Year and as one of Maryland’s Top 100 Women by the Daily Record. 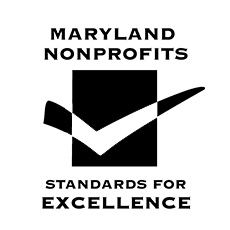 A graduate of the Leadership Baltimore County Class of 2011, Durkin has also been a member of the Board of Directors of the Maryland Association of Community Services since 2009. She served as that organization’s President from 2013-2015. She serves on numerous State level task forces charged with the transformation of supports for people with intellectual and developmental disabilities. Dedicated to providing advocacy and high quality, life-changing supports since 1949 in Baltimore City and Baltimore County, The Arc Baltimore annually supports more than 6,000 adults and children with intellectual and developmental disabilities and their families. 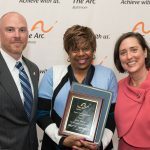 As one of the nation’s largest and most respected organizations of its kind, The Arc Baltimore is an indispensable resource, providing employment training and support, day and residential services, family support and education, treatment foster care, respite care, public policy advocacy and information, and referrals. For more information, visit www.thearcbaltimore.org or call 410-296-2272. Congratulations to Kathleen and The Arc! She is a proven leader and a strong advocate! What an honor to have worked with Kathleen when she worked for another agency some years ago. The ARC has made a great decision in choosing Kathleen as the Executive Director. She is a very loyal and dedicated person that strives for quality services with the people she supports. I have the utmost respect for Kathleen as a supervisor and a friend, Congratulations Kathleen, I am so happy for your success and hard work.